Less than 24 hours later after late night hockey, I find myself in Richmond once again. In fact, I would have to return here for another hockey game the next night. Yup, 3 days in-a-row in Richmond. Tempting fate? Not exactly. Today, I was on my way to Grand Performance Auto to get my dad's spoiler painted. You see, I got him a spoiler for his car as a present. Unorthodox? Absolutely. Makes the car look better? But of course! The entire process would take about 2 hours or so. Thus, there was only one way to pass the time... Eat! Since I carpool with Pomegranate, I kidnapped him for the afternoon. Well, not exactly. H e wasn't planning on joining me at all; however, when I mentioned that there might be Xiao Long Baos on the agenda, he jumped at the chance. 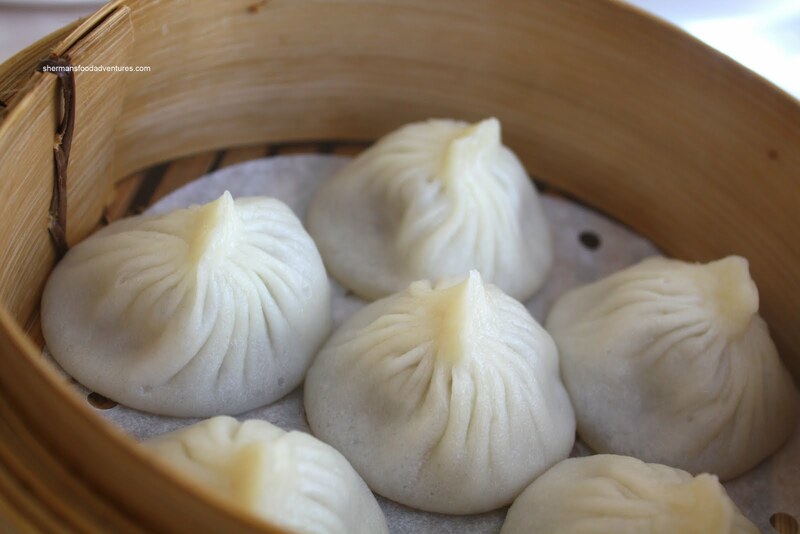 So after dropping off the car at River Road near Capstan Way, we walked over to Alexandra for some XLB action. WTF? Our destination, Northern Dynasty was closed! 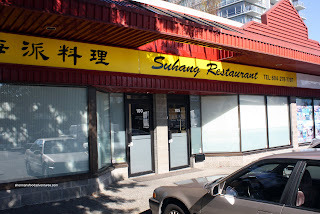 Great... Not to worry, I had a backup plan, which was Su Hang Restaurant. Only problem was that we'd have to walk all the way to Ackroyd Road. No matter, anything for food right? As we entered, the waft of vinegar filled the air. Yah baby, that is the smell of XLBs coming our way! 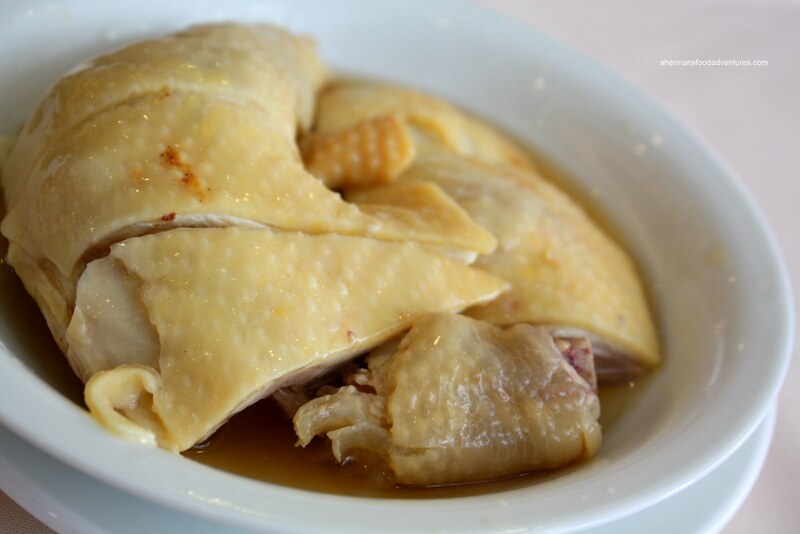 But first, we started with the Drunken Chicken. Served cold, the tender chicken had a pronounced rice wine flavour - slightly bitter (but a good bitter) with a touch of sweet and savoury. Up next was the Szechuan Beef Brisket Noodles. At first, I was concerned with the light colour of the broth and the various bits of fatty floaties. However, the soup had more flavour than its appearance. With a decent amount of spiciness mixed in with a savoury beef broth, it was well-balanced. The brisket was tender enough; but I didn't like the excess fat floating around. Now for the main event. I had long ago promised Pomegranate we'd go for some "real" Xiao Long Bao. The reason? He had watched Glutton for Punishment and got a craving for some after the XLB episode. Sadly, the ones he's had so far have been subpar. This time around, I assured him that these would be legit. And very legit they were. 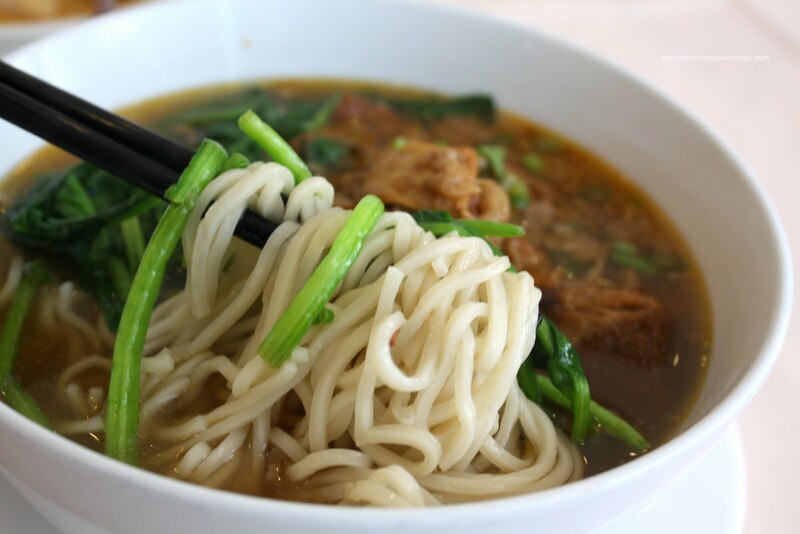 Super thin skin with a plethora of flavourful, rich broth, these were definitely a winner. I liked how the meat was smooth with a slight bounce as well. Only thing that I was concerned about was the flav ourful broth... Was it lots of salt of MSG? 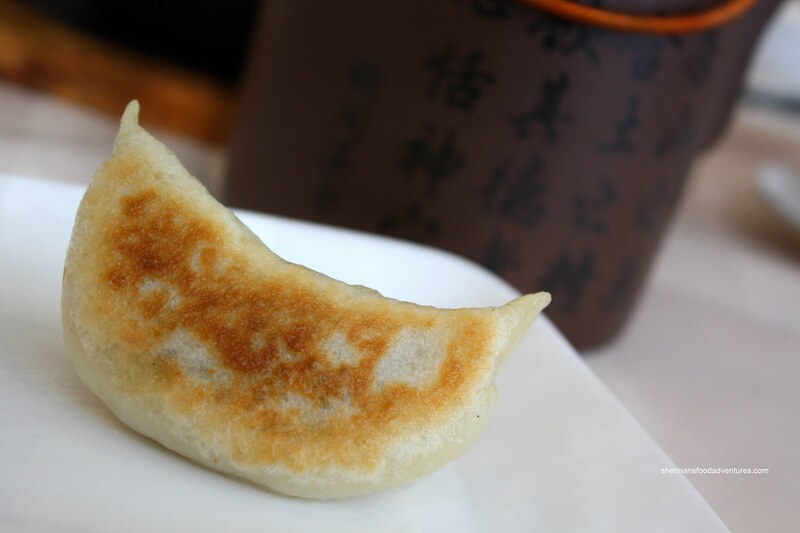 Continuing on the dumpling theme, we got an order of Potstickers as well. We were so busy with devouring those tasty XLBs, I almost forgot to take a picture of the potstickers! Luckily there was one left! Almost an epic fail!!! We liked the crispy bottom and the size of the dumpling; however, the skin was slightly thick. Furthermore, the filling was a bit heavy on the veggies. Thus, it seemed a bit unbalanced when eaten. Don't get me wrong here, it was still decent, just not as good as the XLBs. For our last dish, I let the server do the choosing. She recommended the Meatball Rice. She said it in Cantonese and I really didn't know what it would be like. 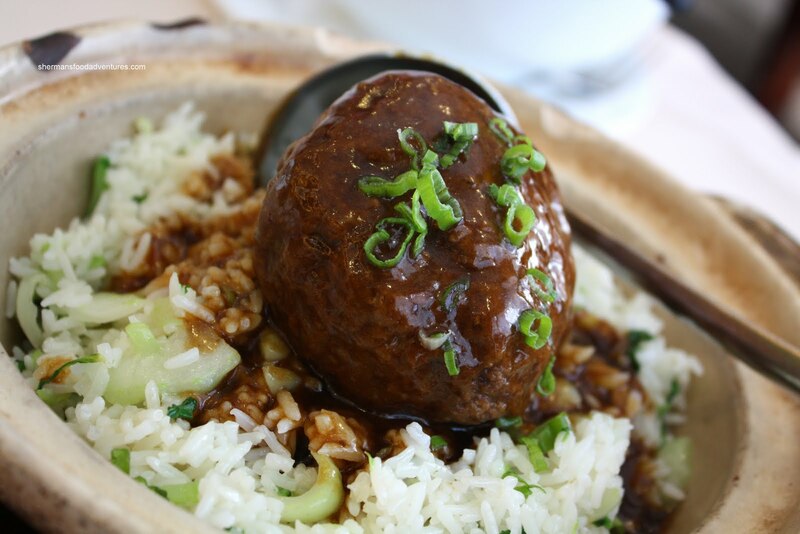 Well, it turned out to be exactly that... A meatball on top of rice. All the individual components were executed beautifully - from the rice with bits of crunchy veggies to the moist meatball. Despite this, we were only moderately impressed. Could be personal preference really or we were just too full to eat anymore? Ultimately, with the meatball, sauce and rice mixed together, it was a nice balance of textures and flavours. Best to have a few more diners to eat this one since it is quit e filling. Quite stuffed, we were presented with a complimentary Coconut Pudding for dessert when we asked for the bill. Pomegranate remarked that the pudding was slightly bland. 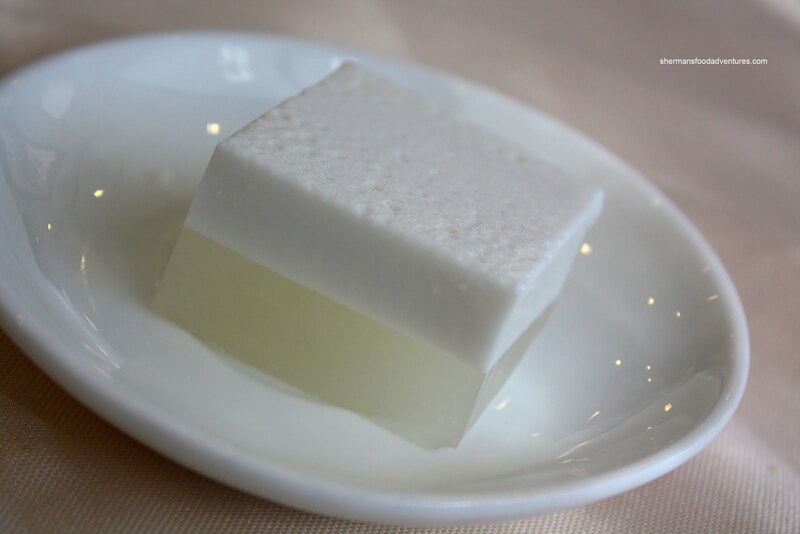 Yah, I could see that; but at the same time, it allowed the natural sweetness and aroma of the coconut milk to shine. In terms of shining, the XLBs were pretty good and would definitely be in my top 5 in Vancouver which also includes: Shanghai River, Lin, Shanghai Wonderful and Chen's. Arghh, I gotta go there over the holidays. Prices look very reasonable. I'm getting the XLB fever ! LR, XLBs are an addiction really. I had them at Wang's recently, can have them every day! Mijune, hmmm, the XLBs I had were very good. Inconsistent?